For Christmas this year I received a Cuisinart blender, thanks mom! The idea behind wanting this handy machine was that because you can blend directly into a travel cup I would be able to make myself healthy breakfast drinks to be consumed on the way to work. In this fantasy I must have forgotten that I get up hellishly early and usually am running out the door to catch the bus! Maybe one day i won’t hit snooze 3+ times, ahhhh wishful thinking. In the meantime I came across this delicious drink that I’m kinda addicted to. 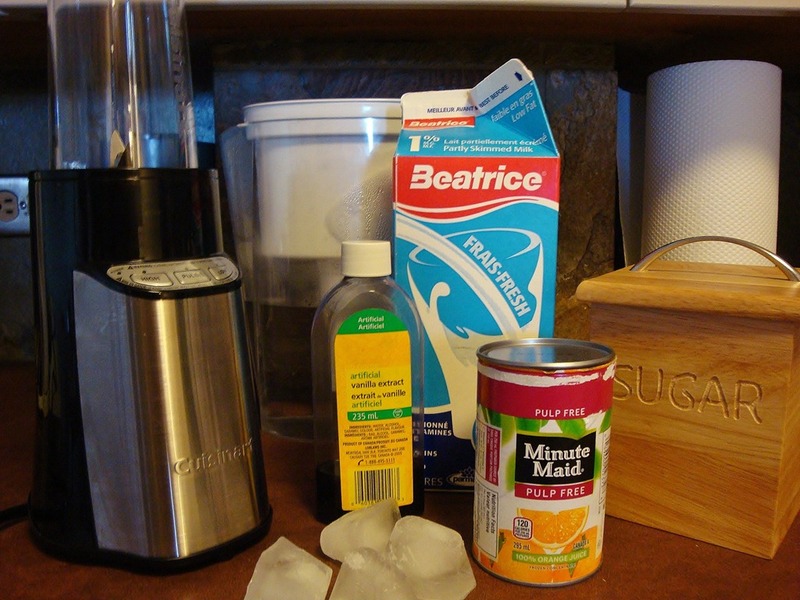 I found it on allrecipies.com and it’s name is Orange Smoothie. How descriptive! 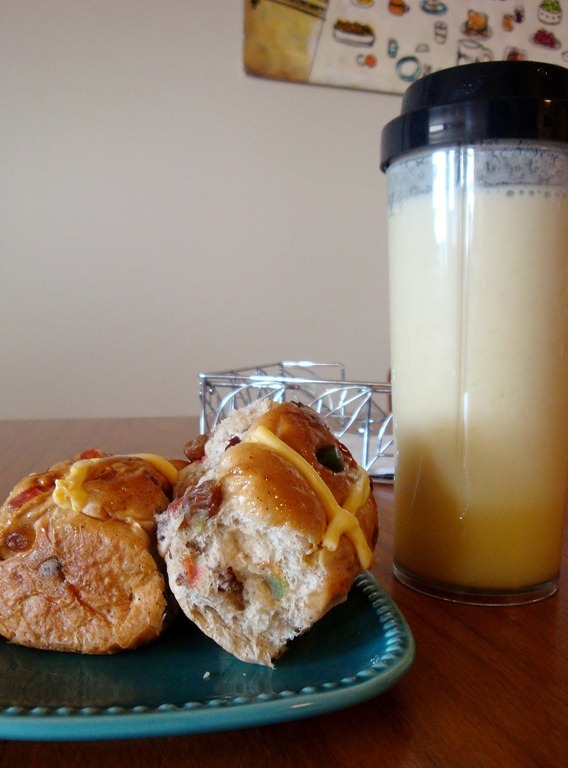 In the photo I made this smoothie for breakfast (on a day i didn’t work) and paired it with some hot cross buns. Happy Early Easter! 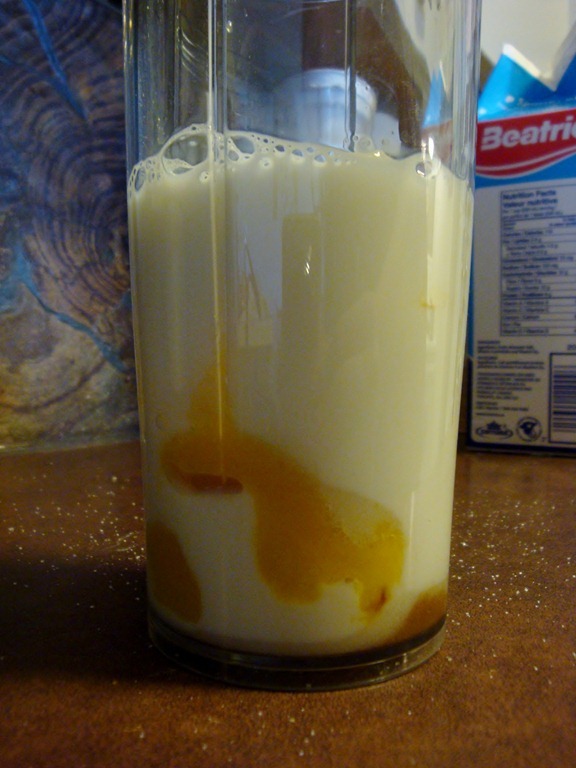 The reasons why I like it SO much are: it tastes a lot like an Orange Julius, the ingredients are easily found (probably in your kitchen right now), and it’s quick! The first time I made this I followed the recipe exactly. It came out a lot sweeter then I liked but other then that I was impressed. If i don’t want it as sweet I just add about a tablespoon of sugar for a single portion. 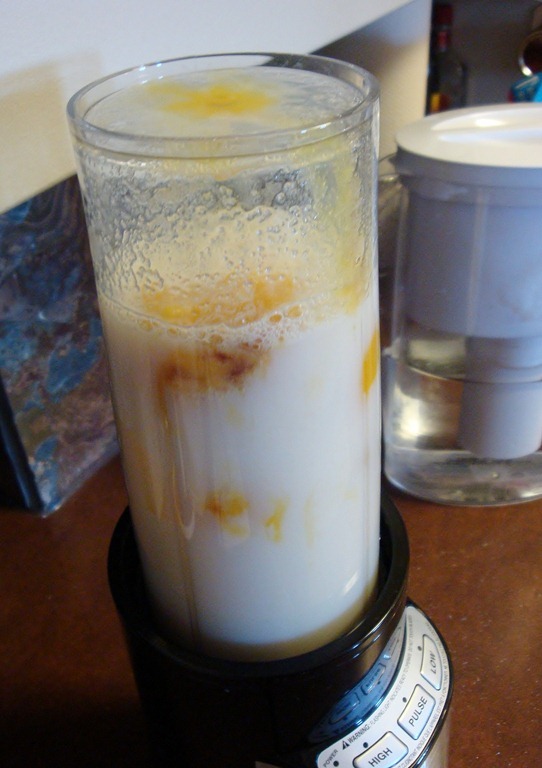 Blends up nice and frothy for a fraction of the price of an Orange Julius from the mall. 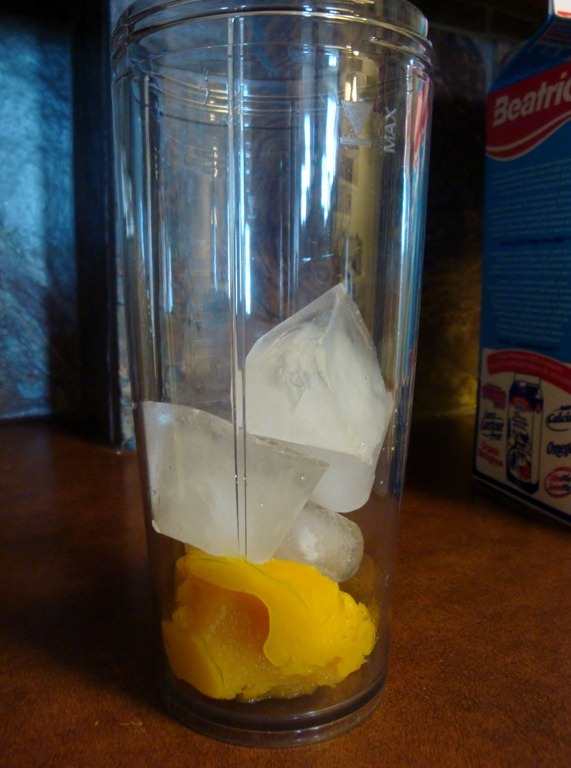 Not to say I won’t buy an Orange Julius again, but for at home convenience this is a close second! 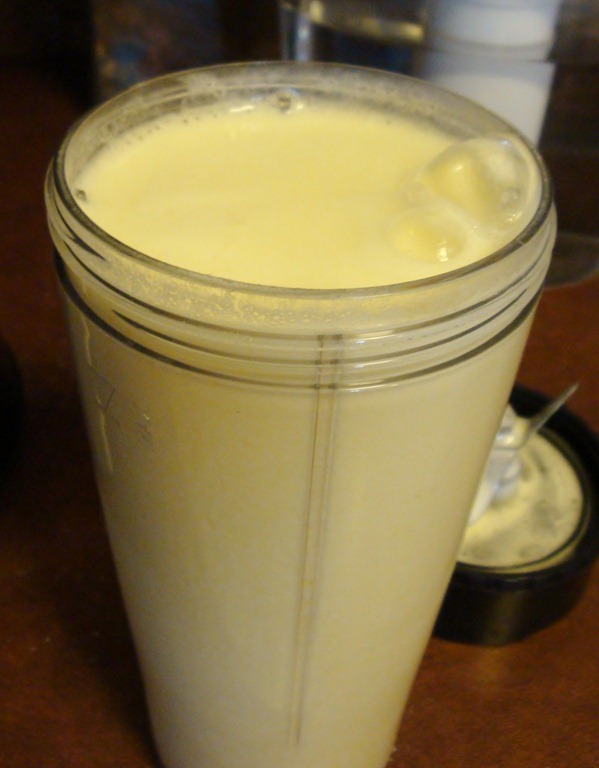 Now that I’ve blended this so many times I just make a single portion and eyeball the measurements. Turns out tasty every time! Yum yum! Now to experiment with different flavours. Maybe peach, grape, or fruit punch?